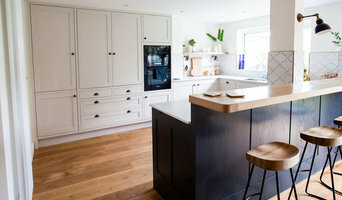 Lomax Interiors are a friendly, professional team of design and build specialists, creating unique fitted and freestanding furniture, kitchens and bespoke interior solutions. Lomax listen to your requirements and develop your ideas into reality. In fact, customer satisfaction is paramount for owner, Kevin, and the reason that he is still trading 32 years on. Lomax can make anything and pride themselves on no limitations when it comes to making a home that ‘works’. Crucially from Kevin: ’Everything we make is made to the highest of standards and is always something (we) would be proud to have in (our) own home.’ Kevin loves to meet and work with people who are open to new ideas and willing to look outside the box for inspiration as he does. The best results historically have arisen because Lomax Interiors’ clients place so much trust in the team to provide a ‘wow’ solution that is imaginative, beautiful and entirely unique to them. Whether you require a home office, living room remodel, bathroom solution or entire kitchen renovation, Lomax creates each space and client with total individuality in terms of design and fit. Lomax has and continues to be the leaders in their industry for quality but they are also driven by their established reputation for creating a fantastic build environment that is clean, polite and hassle-free. John George are renowned for producing exclusive bespoke fitted & freestanding furniture and interiors to meet your desires. We do not create stock pieces, all our furniture is hand crafted to the specifications of our clients. From ornate tables and chairs to bookcases and wardrobes constructed from the finest solid timbers and veneers through to exquisite interior doors and skirting profiles, we take great pride in being in a select market that can produce both beautiful centrepiece furniture and elegant unobtrusive pieces for awkward and complex situations, catering to both the private client and corporate business. Our clients include Blenheim Park Developments, Diverso Architectural Features, Carrs Silverware and Blue Deer Ltd. Since childhood, Adrian Bodie has always been passionate and enjoyed working with wood. Throughout school, woodworking was his favourite lesson and it has led him to pursue a long and successful career in furniture-making. Adrian specialises in the design and creation of bespoke furniture, branching from single one-off pieces to full collections. For bespoke commissions, Adrian will arrange to meet you to find out what you would like, take a site measure and determine and how it will best suit your lifestyle. Whether you’re looking to commission a unique piece or furnish an entire room, get in touch with Adrian today to discuss your ideas. 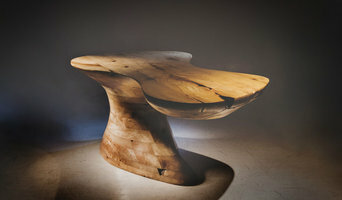 David Tragen creates bespoke and limited edition contemporary furniture, sculpture and lighting as well as offering short woodworking courses from his rural Cheshire workshop. David’s award-winning journey as a contemporary furniture designer and maker began in Barcelona in 1996 where he trained before returning to the UK in 2002 to gain more experience. Running his own business since 2004, his clients have spread from Manchester and Cheshire to the rest of the UK and overseas. Founded in 1978 Daval is a British family business with a passion and heritage in the design and manufacture of fitted kitchen, bedroom and bathroom furniture to the independent market. Designed and manufactured in Huddersfield, West Yorkshire by our specialist craftspeople in our 100,000 sq ft facility, each piece of furniture we produce is functional, attractive and makes an enviable statement in any home, blending seamlessly into your living space. In 2007 we developed Option-i, a market leading production technology which allows us to produce made to order, made to measure kitchens, bedrooms and bathrooms. This technology means you can have your furniture your way, thanks to our uncompromising approach to quality, style and attention to every last detail. Established by Simon Harrison in 1990 from a small farm building in Cheshire, we have grown steadily over the years, re branding as Harrison Collier, and now operating in a 10,000sq ft. modern purpose built premises in the historic town of Prescot situated between Liverpool & Warrington. Our traditional in frame furniture echoes a bygone era in English cabinet making. Our contemporary furniture reflects timeless design. It is built not only to last a life time, but for generations to come. Using only the finest materials, blending modern and traditional methods, the results are truly outstanding. Every piece is handcrafted to your particular requirements, whether it be a fitted solid oak study designed to conceal all the business equipment of today, or a traditional hand painted cook's kitchen. We can make yours dreams a reality. Although kitchens account for a large proportion of our output, you will see from our website we can fit any room in any house with bespoke hand made furniture. We offer a very personal service. Design, manufacture and installation are all undertaken by our employees and we project manage the whole installation right down to room decoration if required. Gill Martinez is a qualified cabinet maker with twenty years experience, with a passion for creating perfection. We specialise in bespoke furniture (freestanding and fitted), tailor made for each customer, so that every piece is unique. As a company we pride ourselves in customer satisfaction and believe that the full customer experience should be smooth, relaxed and enjoyable from beginning to end. We offer a free consultation in your home to discuss and understand your needs, utilising our knowledge and experience thus combining our information to utilise the space. By doing this it will help us create a sketch of your bespoke design, bringing your aspirations closer to reality. 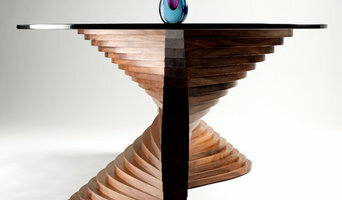 Rothwell & Thomas (est 1983) is a specialist bespoke furniture company. We pride ourselves on working closely with our clients to create contemporary/traditional bespoke furniture to suit you and your home. Whatever your requirements the design and installation of your custom made furniture will receive our undivided attention. Our creative design team will transform your ideas into reality and oversee the process from start to finish. Typically we design fitted bedroom, study, living and dressing room furniture in addition to free-standing pieces. Our philosophy is simple – we aim to supply custom made furniture of exceptional quality and design which maximises space and reflects your unique taste and requirements. We can produce your furniture in an extensive range of hard wearing laminates, hand painted finishes and polished wood veneers. All our bespoke furniture is manufactured on our premises by our own time served cabinet makers and polishers so that we have complete control over the finished products. We offer a simple cohesive service. 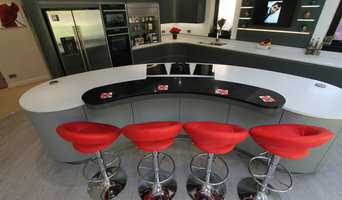 We will design, manufacture and install your bespoke furniture. We are happy to work alongside architects, builders, interior designers & tradesmen to enable your project to run smoothly. All of our furniture is produced in our UK on site workshop. We are a family run business with over 30 years experience. We have a well earned reputation for creative design, high quality furniture and excellent customer service. Rothwell & Thomas are a design led company who want you to be happy with our service. There is absolutely no hard selling. We believe that home design should be a relaxed, enjoyable and unpressurised experience. Although the design and choice of materials are almost endless to cater for your needs, the quality of our installations can be inspected in our showroom. We offer a bespoke service in furniture making, we make to your design requirements, we also offer restoration of antiques and upholstery. Concept Bespoke Joinery based in our Chelford office with the factory in Wigan. Bespoke & Modular furniture manufacturers providing contemporary & traditional cabinetry for the Residential and Commercial markets. Great designer unique furniture, bespoke builds brought to you by a talented and innovative team of carpenters and finishers. You can see by our designs, a lot of fun and attention to detail are foremost, whilst endeavouring to make our pieces easily affordable, we have several ranges available now from mid to high end furniture and new pieces available soon, and of course prototypes being developed. Got an idea no matter how oddly shaped or quirky? Bring it to us and watch it evolve. We'll take you through every step of the process of choosing the right material, the build and the finish to delivery and in some cases installation. We also have the ability to go back and recreate period pieces and offer lacquering, re-finishing and traditional staining for your existing furniture. Cheshire based handmade bespoke kitchen company. Specialising in the highest quality in fitted and free standing furniture. WHO WE ARE. If its a friendly, professional, reliable, no hassle service you are in search of you have come to the right place. Überooms provides all of the above as standard plus we really can create and install some truly beautiful fitted furniture. We pride ourselves on our commitment to high quality, unique design and always working in the most meticulous ways to ensure the most impressive of results. Why should I hire a Blackley, Greater Manchester cabinet maker? Cabinet makers are skilled craftsmen who can design, make, rework and repair cabinets and cupboards. They can create bespoke storage or kitchen units for your home that meet your needs and fit with your interiors. They can also advise you on materials and cabinetry styles if you’re not completely sure on the design yet. With the right bespoke cabinet makers in Blackley, Greater Manchester, no cabinetry job is too difficult, so even if you have a tricky corner space that you want to utilise, a Blackley, Greater Manchester cabinet maker can create a cupboard to your specifications. Bespoke cabinet makers are more than just bathroom or kitchen cabinet manufacturers and they can be commissioned to create storage cabinetry around the home. Bespoke TV cabinets are in popular demand due to the variations of TVs, consoles, digital TV boxes, DVD players and other items that we want to keep near to our televisions. Skilled cabinet makers in Blackley, Greater Manchester can create a one-of-a-kind TV cabinet or media centre to house all your entertainment goodies. If you already have cabinets or cupboards that you’d like to keep, but they’re just in dire need of a facelift, then bespoke cabinet makers may be able to help, too. You may wish to replace kitchen cabinet doors, give your cupboards a new colour, add decorative elements or use a special finish; whatever the cabinetry task, ask cabinet makers in Blackley, Greater Manchester if they can help you. If you need the help of a cabinetry professional when renovating a home, make sure they are happy to work with any other professionals working on the project. Here are some related professionals and vendors to complement the work of cabinet makers: Kitchen & Bathroom Designers, Kitchen & Bathroom Fitters, Interior Designers, Home Storage Designers & Professional Organisers, Carpenters & Joiners. How long have you been cabinet makers in Blackley, Greater Manchester? Find a cabinet maker on Houzz. Narrow your search in the Professionals section of the website to Blackley, Greater Manchester bespoke cabinet makers and cabinetry. You may also look through Blackley, Greater Manchester photos to find examples of cabinets that you like, then contact the cabinet makers in Blackley, Greater Manchester who worked on them.